What Campaign Themes are There to Choose From? There are 100+ amazing themes to choose from in Approach! Their titles are based on which industry they are for. (ie. Clothes, Shoes, Accessories, Automotive, Jewelry, etc.) You can search for the industry that you are in and you will see all the available templates for that industry. 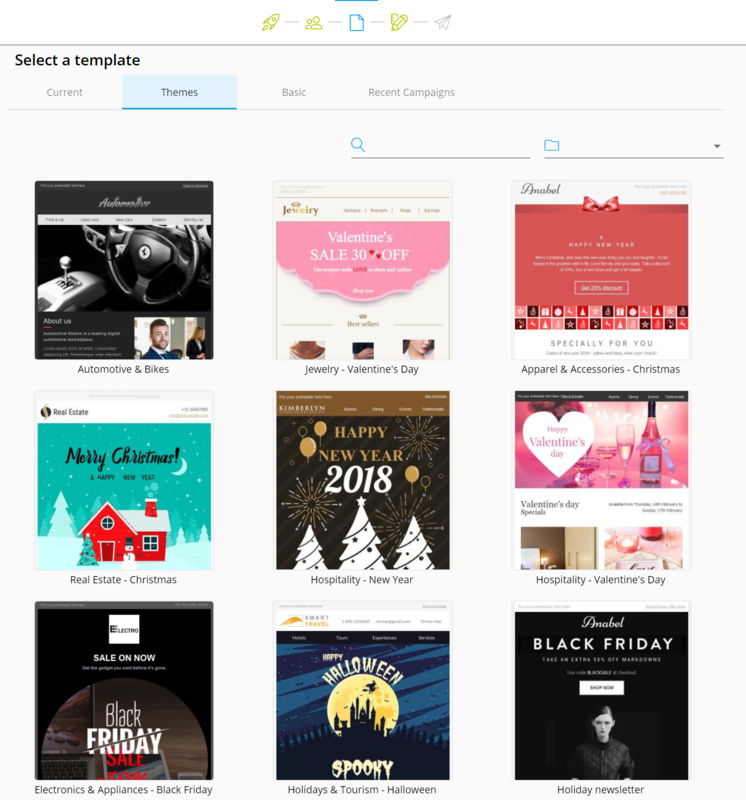 Take note: These templates are designed based on the industry they're named after but you can definitely use a template from a different industry if it fits the campaign you would like to create.